UPDATED 38mm Mikuni TMX carburetor settings for smoother and more controllable power delivery. The carburetor body has also been turned 7° to reduce fuel overflow. NEW CDI control unit for improved starting. Ignition curves remain unchanged. 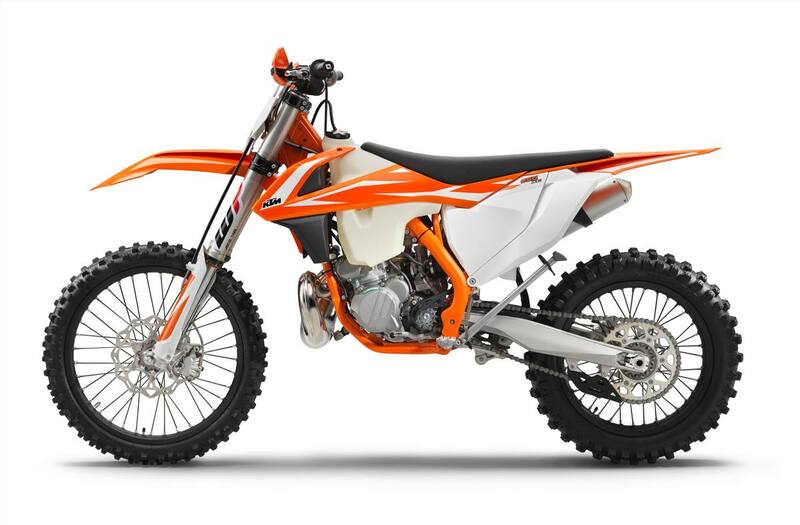 The 249 cc engine features a compact shaft arrangement for better mass centralization. Cylinder with twin-valve controlled power valve for smooth power that can be adjusted within seconds for different track conditions. Lateral counter balancer reduces engine vibrations for less rider fatigue at the end of the moto. Hydraulically operated DDS clutch features a damping system for better traction and durability. Lightweight Chromoly steel frame provides high torsional rigidity with less longitudinal stiffness resulting in excellent handling and energy absorption. Tank Capacity, Approx: 10 L / 2.6 gal. Weight (without fuel), Approx: 98.4 kg/ 216.7 lb.